This is my final image from Pura Tirta Empul, the Balinese water temple. 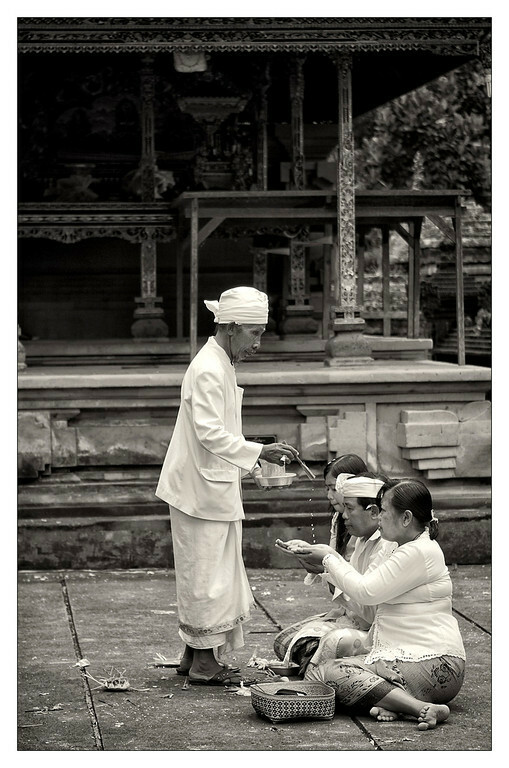 During our visit it was explained to us that many of the Hindu people in Bali travel to the various temples throughout their lives to seek out the benefits of their various blessings. In this picture three such pilgrims are receiving the benediction from the priest.